Everywhere I look, people are writing about Pandas and how Blizzard is mis-stepping with the new WoW expansion. I looked at the news, shrugged, and moved on. I guess I really am done with WoW. On the other hand I read everything I could find about the new StarCraft 2 units! They look awesome. It's much more exciting news for me because adding new units totally changes the game balance and the flow of battle. Here's a full list of the new units and changes. Protoss are (finally) getting some more anti-air and an intriguing new unit that can become any other unit in the game. Unfortunately Carriers are being pulled from multiplayer all together. Some Zerg units are changing or gaining abilities, like the awesome burrowed charge for Ultralisks. They're also getting a new siege unit which resembles a burrowed Broodlord. Terran Hellions will be able to morph into what looks like a giant mechanical firebat. A Terran player will be limited to one Thor at a time, but Thors are getting a huge buff. Balancing three races must be an unbelievable amount of work. I can't even imagine how much time has gone into it. Needless to say the multiplayer will have a different feel once the new expansion hits. And that, for me, is way more exciting than Pandas. Gears of War 3 has been out for a few weeks but I put off writing about it until now. I've been playing it off and on since it's release because I really wanted to like it. The problem is... I don't. Don't get me wrong, it's not a bad game. Unfortunately, it's just more of the same. I liked Gears of War and it's sequel a lot but this third installment isn't doing it for me. The problem is that it plays exactly like Gears of War 2. Granted, now there's four player co-op, a couple new guns, and some new enemies... but it all feels like it's been done before. Probably because it has. There are a few other new features. Horde mode, one of Gear's crowning achievements, has some added base building features. Beast mode now let's you play as the enemy killing the humans. Overall, the whole package is tied into a nice online system too. But I have to be honest. If you didn't absolutely love Gears of War 2 then do not spend $60 on this game. There's nothing new here. I paid full price and I regret it. 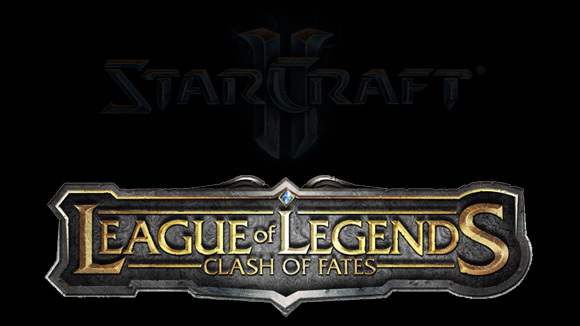 Recently I’ve been playing two separate games which go by the names of Starcraft 2 and League of Legends. Both games are highly competitive. Both pit players against each other in deadly head to head combat. And, without a doubt, both are ruthlessly brutal to new players. Yet, only one of them frustrates me beyond belief. It’s interesting that two games which are so competitively similar can affect me in two vastly different ways. So why is that? I believe the key lies in how information comes across, or does not come across, to the player. Starcraft 2 is very transparent, while League of Legends is extremely opaque. In Starcraft 2 most information is telegraphed to the player. It’s pretty obvious to anyone that an army with 30 units is better than an army with 15. While unit composition can muddy the water of army size comparisons, most of the time, it still takes a miracle to beat an army twice the size of yours. This transparency also extends to game wins and loses. Most of the time I can tell you why I won or lost a match of Starcraft 2. (“My macro was just horrible.” “I could have microed that battle so much better.” “If only I had scouted that tech switch sooner.”) It’s this information that allows me to improve my play, and it’s this information that helps me see that a loss was my fault. I lost because I did something wrong and I could have played better and actually won. This is where League of Legends fails. It’s like a stone faced royal guard, just too damn opaque. In League of Legends it’s incredibly hard to tell how strong your opponent is. All you can tell at a glance is how much health someone has. You can’t know for certain how much damage they can dish out or if they run faster than you, or how much armor they currently have. So, when I die over and over again to a player, I couldn’t tell you why. It’s even worse when that player has seemingly less health than me(the most visible stat in the game), shouldn’t I be stronger? Am I just playing bad? Did I not level fast enough? Did I buy the wrong items? I don’t know. All I know is that I keep dieing and it sure as hell doesn’t feel like my fault. That champion must be unbalance, and overpowered. There’s seemingly nothing at all that I can do to win. And when I’m powerless to do anything, I get frustrated.